Matt Cutts, Google's head of search spam, has revealed that the search engine giant doesn't take the social signals of Facebook or Twitter into account when ranking pages. An issue that has been speculated about in the past, Cutts confirmed the signals given by the two social media sites didn't play a part in Google's ranking algorithm in his latest Q&A video. He clarified that both Twitter and Facebook pages were treated like any other page on the web. The programmer was then asked if Google crawled and indexed these pages in a special way - by taking, for example, the number of Facebook likes or tweets a particular page had received into account. He responded by stating that such attempts had been made in the past, but that they were blocked. Explaining further, Cutts stated that Google had invested a considerable amount of engineering time into the endeavour, only to see its efforts blocked for a month - leaving it reluctant to invest any more time in it. During the session Cutts also hinted that he saw Google's algorithms understanding more about identities on the web in the future - i.e. recognising the authors responsible for producing content. Using the example of Danny Sullivan, Cutts hinted how this might work. 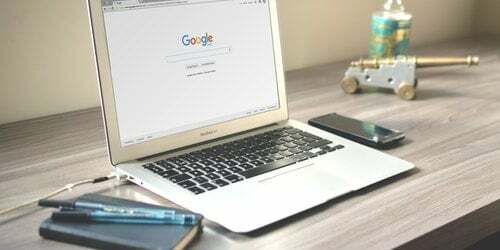 He stated that the Search Engine Land editor-in-chief could publish a stories on his site focussing on search engines or SEO - subjects on which Google knows the site is an authority, therefore leading to it rank well for such terms. Cutts added that Sullivan could then post on a forum, and Google, with an algorithm capable of understanding identities, could then recognise that an authoritative figure had posted on that page. Thus giving it more ranking weight within the SERPs (search engine results pages).